I listen to people. The only way you get a good story as a journalist is by listening. As a journalist and publisher of a community newspaper, the Globe-Miami Times, I’ve been listening to people in rural communities like ours for the last 13 years. I don’t think our legislators do enough of that – listening to the people they represent. As a journalist, I believe in fact-driven research, and I believe that facts need to be the force behind our decision-making within the legislature. I’ve also been in business for the last 35 years, working in sales, marketing, and running small businesses that I’ve created, including the Globe-Miami Times, which I founded in 2006. I understand and appreciate the business world, but there are many areas which serve the public good, which should not be profit-driven, including areas such as education and prisons. I don’t think the plan goes far enough because it does not meet the basic requests of 75,000 educators and education supporters in this state who marched at the Capitol in April. The plan does not account for increased wages of the many who support the education system aside from teachers, such as cafeteria workers and librarians. The plan does not identify a clear, reliable funding source for the pay-raise. The plan does not prevent future tax cuts until per pupil funding reaches the national average. I support the Invest in Education Initiative which will be on the ballot in November, and, if passed, will address funding for public schools by increasing state taxes for households bringing in more than $500,000. This extra revenue will be a defined, reliable source to fund public education, placed into a Classroom Site Fund. If the initiative does not pass, then the state needs to implement similar legislation. Aside from using tax dollars to pay for adequate funding of public education, as a legislator I would also pull back our voucher system. By adequately funding public education, we can attract qualified teachers, we can offer full-day Kindergarten, we can get proper textbooks and tools to teachers, and alternatives like charter schools won’t be necessary because needs are being met through public education. 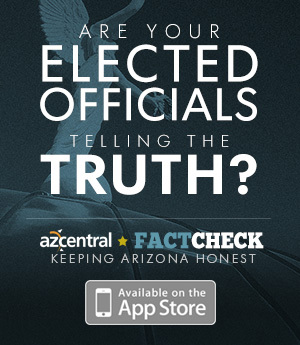 No, Arizona does not do enough to require accountability and transparency for charter schools. While charter schools initially may have shown promise, at this point they are privatized and profit-driven by nature, lack the transparency and accountability of our public schools, and drain the state’s education funds – 1.5 billion of which would be better spent, and equitably spent, on public education. Research by the nonprofit Arizonans for Charter School Accountability shows that 180 charter owners underreported administrative expenditures in spending summaries submitted to the state. Thirty eight charter owners did not report teacher data in their 2017 financial report. The Department of Education has failed to hold charters responsible. This lack of accountability and transparency has allowed charter organizations like the American Leadership Academy to sidestep submitting expenditures aside from instructional supplies. In addition to banning bump stocks, raising the minimum age to 21 for all gun purchases, and requiring universal background checks on gun sales between private parties, as a state, we should also ban high capacity magazines and semi-automatic weapons that fire high velocity rounds. We should change our privacy laws so that both mental health care providers and schools can communicate with law enforcement and prevent gun possession by those who are dangerous to themselves and/or others. We should increase our funding of school security and safety, and ensure that there are guidance counselors available to students in every school. These are all viable and reasonable solutions to a problem that has gone on for far too long. I would support certain tax cuts for individuals or businesses. I think tax cuts must be approached on a case-by-case basis to ensure that they make sense. One tax reduction I would support is a tax reduction for small businesses, particularly with the advent of increased minimum wages. Small business is the lifeblood of rural districts like mine, many going back two to three generations. It’s important that we do everything to support and create opportunities for small businesses to thrive in the areas where they are serving. To the same degree that we’ve consistently given incentives to large corporations and looked out for their best interests, I want to put that same kind of focus on small businesses throughout my district to see what kind of tax incentives and state services and support we can give them so that they grow and they can add to their bottom line. By supporting small businesses and allowing them to grow, the impact of a higher minimum wage will be less burdensome. Legalizing marijuana for recreational use has two advantages: it reduces the number of people going into the prison system, and it generates revenue for the state. The money we spend on corrections for marijuana-related violations could be better spent in other areas that desperately need funding, like public education and infrastructure. The money we make from taxing marijuana sales could generate significant revenue for our state’s needs. Prohibition taught us a lesson here that we should heed; legalizing and taxing marijuana is the solution, not forcing it underground. Legalizing marijuana is showing decreases in murder and violent crime throughout the US as the need for smuggling decreases. As a legislator, I would not only support legalizing marijuana here in Arizona, but I would lobby up to fix the federal guidelines so there is not a disconnect between the federal law and the state law. Increasing restrictions on abortion providers and clinics is the wrong approach in Arizona, and it is the wrong approach in this country. Requiring a woman to receive state-directed counseling, discouraging her from having an abortion or requiring her to obtain an ultrasound and view the image before receiving a procedure does not serve a purpose other than making access to abortion more difficult and administering guilt to a woman despite the fact that these processes are not in place for any other medical procedure. Creating restrictions to deter anyone from receiving a health-related procedure is illogical and a poor use of legislation. Receiving an abortion should be a health-related choice made by the woman within her own religious beliefs, with a doctor of her choice, supported by her health plan. Arizona lawmakers need to fully support the drought contingency plan when it is submitted to them in January. Nevada and California have already prepared to do so. This plan will require each state to find the most reasonable means to reduce its use of water supplied by Lake Mead. The time to prepare is now, while we still have a chance. If we wait until the water levels of Lake Mead drop below 1,075 feet, which is likely to happen in the not too distant future, we will have waited too long to have the ability to be prepared – we will already be in crisis mode. We need to begin changing our everyday lifestyles and conserve as a state, now. We decided a long time ago as a country that discrimination, especially in public places, is unjust and wrong. Unfortunately, this decision does not seem to be being applied to the LGBTQ community. As a state, we need to make it clear that we do not condone discrimination on any level, including discrimination toward the LGBTQ community. I would not support a statewide law to allow business owners to deny services based on religious beliefs because it unfortunately would allow an easy way for businesses to discriminate against a variety of customers. If a customer is not posing a physical disturbance or threat in some way to a business, but rather has an ideologically different stance from the business owner, such a law would only allow opportunities for rampant discrimination. Again, we decided as a country that discrimination was wrong decades ago. Let’s not turn back the clock. It begins with a strong public education system which is adequately funded and supported at all levels. It is through robust public education, accessible to all our citizens, that we will lift our economy and our economic opportunities at all income levels. It is through providing apprenticeships and training for our trades and skilled workers that we can ensure supporting a diverse and dynamic workforce. Focusing on renewable energy and expanding broadband into all parts of the state - especially throughout our rural areas - will add new and sustainable growth opportunities. I do not support expanding the Empowerment Scholarship Account, or ESA, program. We have a public education for a reason - we should be using public dollars to improve our public schools so that all students in the state are guaranteed a good education. Instead, this very publication has published findings that those public dollars are being used disproportionately to transfer students from high performing schools in wealthy districts to private schools. Rural districts like mine are hit especially hard by the ESA program. Public schools tend to be the only option in our district as it is, and our public schools are already severely unfunded. It’s disturbing that we’re promoting inequitable education conditions in a state where education has been named as the top priority by voters. I support Proposition 305 because I think the state’s voucher program needs to be terminated, not expanded. Expanding the voucher program would simply allow more money to be taken away from public education funding, which is already in a state of disrepair. Arizonans have made it pretty clear that they support public education, and it’s their tax money. We need to honor that. Our Arizona economy is dependent on good relationships with our neighbors to the south, so I believe we need to support and strengthen the ongoing, joint efforts to monitor the border in a way that is mutually beneficial to both parties. Spending on a border wall makes no sense in Arizona until we have found the money to invest in education and raise the quality of living within our state. It was a positive sign that the Arizona House voted to remove Rep. Don Shooter in February for sexual harassment during his time as a legislator. However, it’s upsetting that it’s taken the repeated allegations against individuals like Shooter for the House to issue a written sexual harassment policy and enforce mandatory sexual harassment training. There should be zero tolerance in our legislative chambers for sexual harassment. One issue not mentioned here is our dependence upon private prisons. Here in AZ, we have one of the largest prison industrial complexes in the US. Our private prison population grew by 106 percent between 2000 and 2011, while it grew in the rest of the country by only 15. We are putting people in prison for minor offenses like marijuana and drug paraphernalia. We could reduce these numbers overnight by not only decriminalizing marijuana laws but changing our sentencing laws. I believe we should do both. We need to end our private prison contracts because they incentivize that industry, which is made up of corporations like GEO group, which has three locations here in Arizona, received more than $774 million in government contracts in 2017, and spent more than 1.7 million in lobbying dollars that same year. Let’s not just warehouse people; let’s spend our resources on preparing offenders to become productive members of society. Let’s reduce recidivism and create stronger communities. I think the greatest threat to Arizona’s future is a major water shortage. I cannot reverse the impact of 21 years of a drought, but I, along with other legislators, can ensure that we use the water that we still have wisely. This means finding innovative ways to incentivize reduced water use, whether it’s in agriculture, mining, or our everyday lives. Obviously, one easy step in that direction would be for Arizona legislators to pass a Drought Contingency Plan. Taking such measures can at least reduce the blow of major water shortages. As a legislator, I would provide incentives for companies that are reducing their water usage. I would provide incentives for farmers that transition toward crops that require less water. I would also provide incentives for households that reduce their water use.